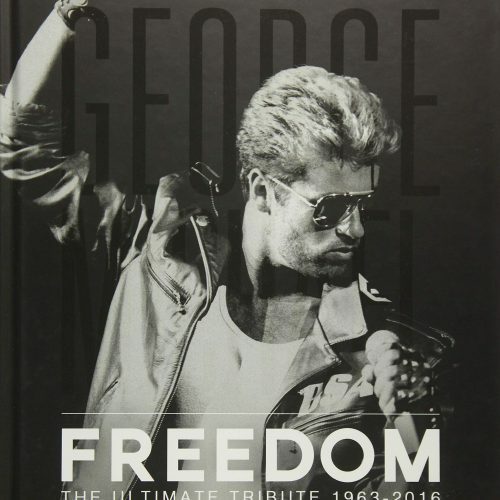 George Michael in the cover of No. 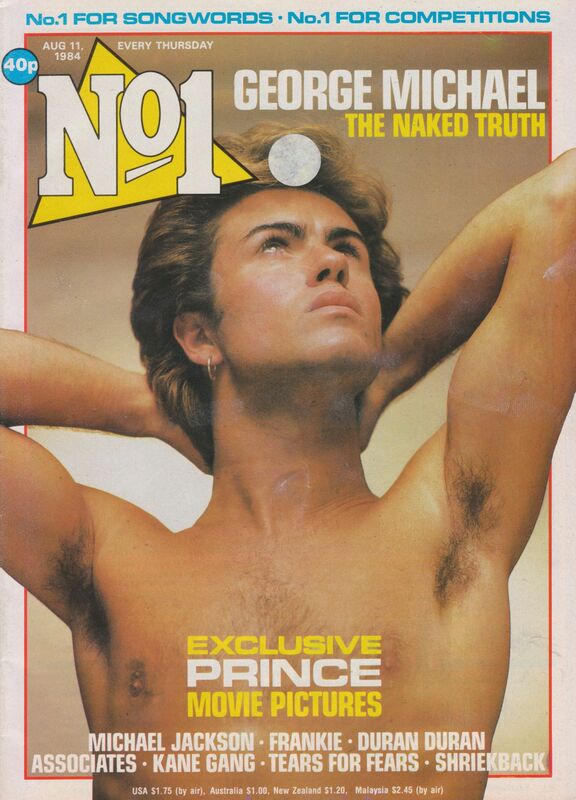 1 magazine with the caption “George Michael The naked truth.” The article “Careless Talk” was published on August 11th, 1984. George Michael has no desire to be hip. He wants to make great pop records and be loved by everybody. 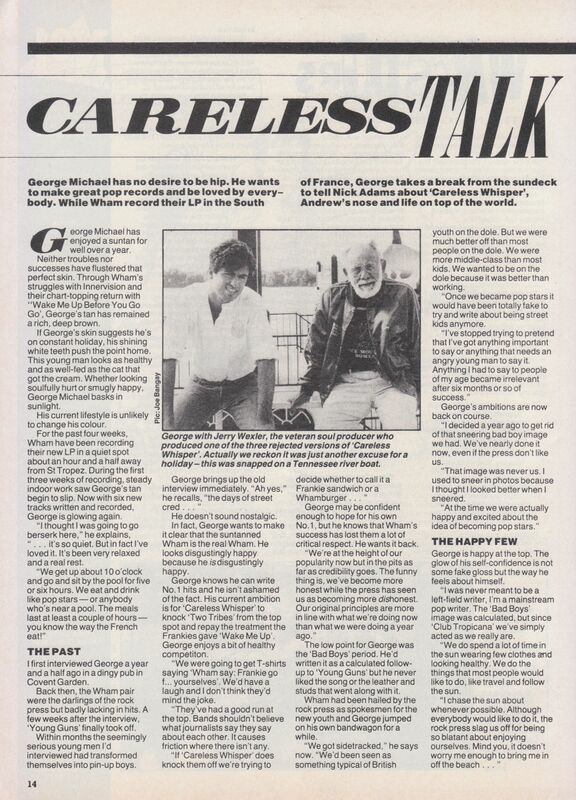 While Wham record their LP in the South of France, George takes a break from the sundeck to tell Nick Adams about “Careless Whisper”, Andrew’s nose and life on top of the world. 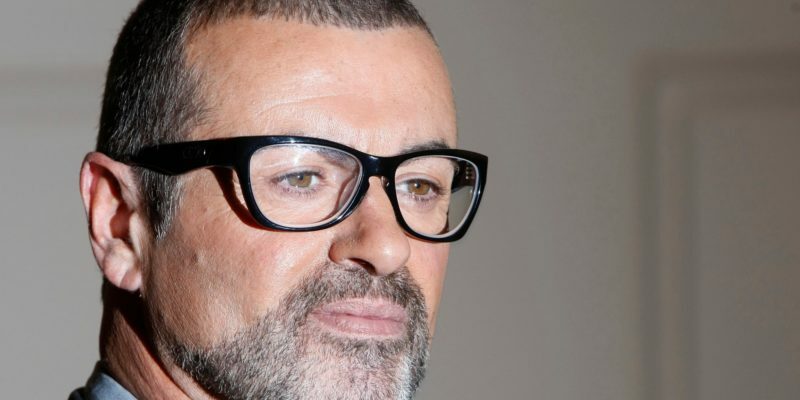 George Michael has enjoyed a suntan for well over a year. Neither troubles nor succes have flustered that perfect skin. 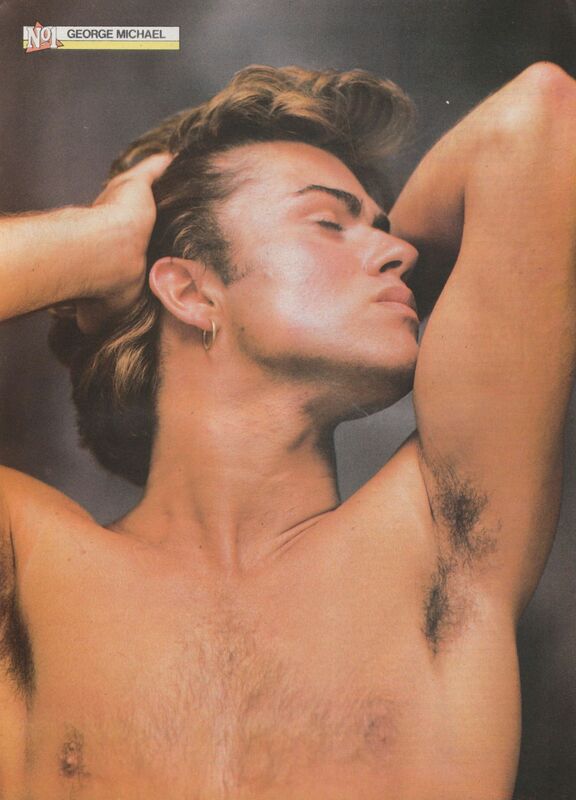 Through Wham’s struggles with Innervision and their and their chart-topping return with “Wake Me Up Before You Go-Go”, George’s tan has remainded a rich, deep brown. If George’s skin suggest he’s on constant holiday, his shining white teeth push the point home. This young man looks as healthy and as well-fed as the cat that got the cream. Whether looking soulfully hurt or smugly happy, George Michael basks in sunlight. His current lifestyle is unlikely to change his colour. 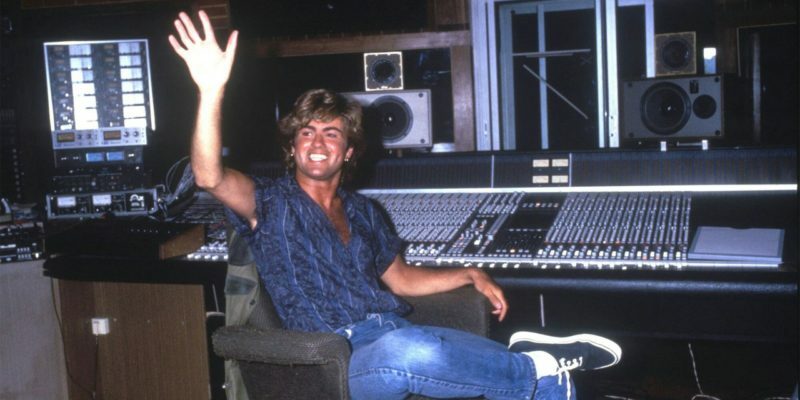 For the past four weeks, Wham have been recording their new LP in a quiet spot about an hour and a half away from St. Tropez. During the first three weeks of recording, steady indoor work saw George’s tan begin to slip. Now with six new tracks written and recorded, George is glowing again. 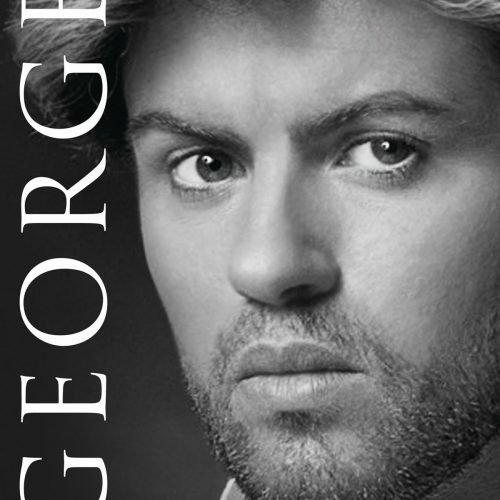 I first interviewed George a year and a half ago in a dingy pub in Covent Garden. Back then, Wham pair were the darlings of the rock press but badly lacking in hits. A few weeks after the interview, “Young Guns” finally took off. Within months the seemingly serious young men I’d interviewed had transformed themselves into a pin-up boys. He doesn’t sound nostalgic. In fact, George wants to make it clear that the suntanned Wham is the real Wham. He looks distinctly happy because he is distinctly happy. George knows he can write No.1 hits and he isn’t ashamed of the fact. His current ambition is for “Careless Whisper” to knock “Two Tribes” from the top spot and repay the treatment the Frankies gave “Wake Me Up”. George enjoys a bit of healthy competition. George may be confident enough to hope for his own No.1, but he knows that Wham’s success has lost them a lot of critical respect. He wants it back. The low point for George was the “Bad Boys” period. He’d written it as a calculated follow-up to “Young Guns” but he never liked the song or the leather and studs that went along with it. Wham had been hailed by the rock press as spokesmen for the new youth and George jumped on his own bandwagon for a while. George’s ambitions are now back on course. George is happy at the top. The glow of his self-confidence is not some fake gloss but the way he feels about himself. Poor George knows that the reason the business dislikes Wham is their blatant self-confidence. His suntan lacks any human fear of peeling. Yet George sees this resentment of Wham’s obvious calculation as hypocrisy. Perhaps the real reason George and Andrew are resented is their obvious happiness and self-satisfaction, Nobody like a winner who knows he’s winning. While the old guard understood Borg’s humility, they are horrified by John McEnroe’s arrogance. When Wham were bad boy rebels, the music biz understood them. Nowadays they look like a cross between pools winners and Ronnie Biggs sunning himself in Brazil. They’ve changed the image of the pop star from the malcontent of punk days, back to the old showbiz tradition of the star delighted by his own success. 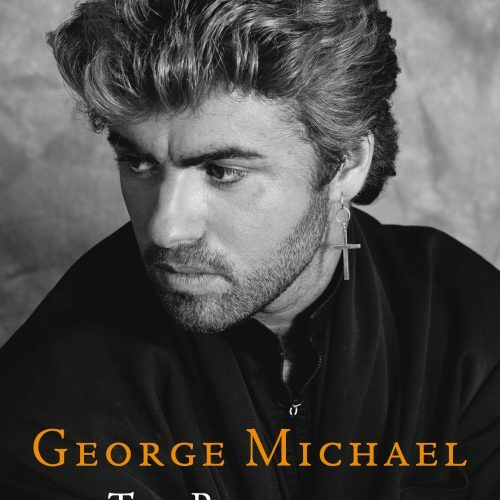 George Michael’s one new touch is to suggest that not only is he delighted by his success but also that he planned it. George would never say that he was lucky. 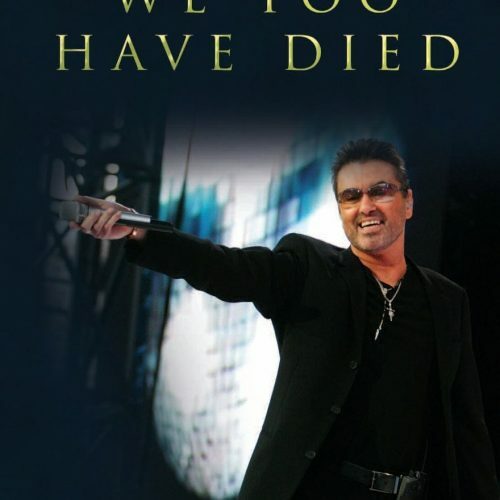 George Michael wants to make it clear that he’s a pop writer. His ambition now is clear. 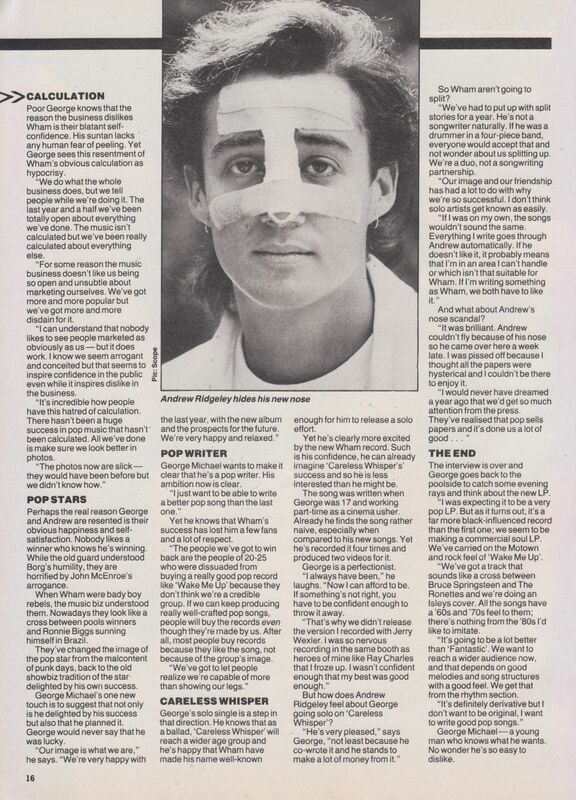 Yet he knows that Wham’s success has lost him a few fans and a lot of respect. “The people we’ve got to win back are the people of 20-25 who were dissuaded from buying a really good pop record like ‘Wake Me Up’ because they don’t think we’re credible group. If we can keep producing really well-crafted pop songs, people will buy the records even though they’re made by us. George’s solo single is a step in that direction. He knows that as a ballad, “Careless Whisper” will reach wider age group and he’s happy that Wham have made his name well-known enough for him to release a solo effort. Yet he’s clearly more excited by the new Wham record. Such is his confidence, he can already image “Careless Whisper’s” success and so he is less interested than he might be. The song was written when George was 17 and working part-time as a cinema usher. Already he finds the song rather naive, especially when compared to his new songs. Yet he’s recorded it four times and produced two videos for it. George is a perfectionist. 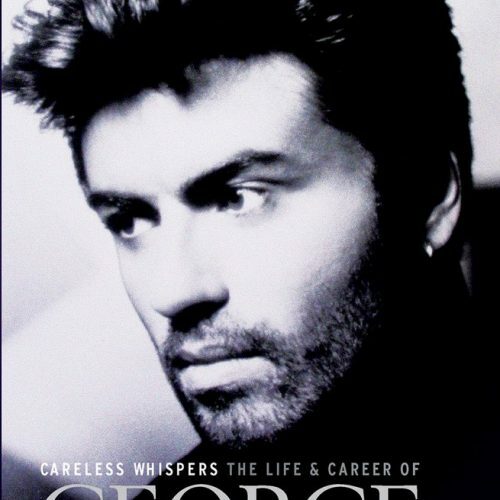 But how does Andrew Ridgeley feel about George going solo on “Careless Whisper”? So Wham aren’t going to split? And what about Andrew’s nose scandal? The interview is over and George goes back to the poolside to catch some evening rays and think about the new LP. George Michael – a young man who knows what he wants. No wonder he’s so easy to dislike. 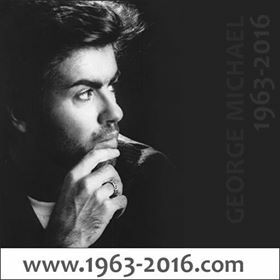 Part 4 of the interview between George Michael and journalist Mark Goodier in Spring 2010. This was from a booklet that was included in the Faith: Legacy Edition release (deluxe box version).